The Econet Wireless subsidiary also is partnering with local and global players like Afrilabs and Microsoft­­ to create a cross-border commercial network for the continent’s startup community. In 2017, the company generated 39 percent of its $680 million annual revenues on connectivity services to enterprise clients, 32 percent from wholesale data services, and 22 percent on wholesale voice products to mobile carriers.Liquid Telecom clients include MTN, Vodacom, China Mobile, Barclays Bank, and Google. Reliable estimates are sparse on how fast they’ve grown, but there are now 1000s of startups in Africa expanding across multiple sectors; from fintech and e-commerce to agtech and logistics. While performance events are still a bit light, the continent minted its first unicorn, Jumia, in 2016 and has produced a handful of exits. The round size and overall value of funding to African startups has picked up considerably over the last year. Kenyan based fintech company Cellulant raised $47.5 million in May and just this week, South African lending venture Jumo raised a $52 million round led by Goldman Sachs. 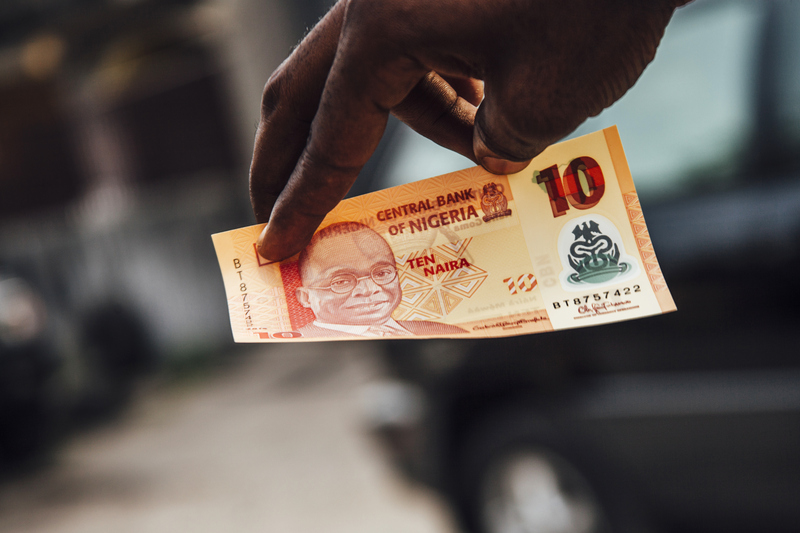 African man holding Nigerian 10 naira bill. For that first step, the company has tapped into Africa’s tech hubs—now estimated at 442 by GSMA—which have become a focal point for startup activity. “We’re working with Liquid on the continent to reach 100 hubs in Africa,” said Chris Lwanga, Microsoft’s Senior Director for Cloud Communities. “There’s many other areas we’re thinking about, but that will come out later,” he said.